Exposure to different types of radiation is inevitable. There are natural sources of radiation including the sun, radon from decaying uranium in the soil and particles in the air. There are also man-made sources of radiation such as computers, cell phones and devices used for medical imaging. The U.S. Nuclear Regulatory Commission has established standards that allow exposures of up to 100 mrem per year for members of the public and 5,000 mrem per year for those who work with and around radioactive material. Different work environments require measuring and detecting radiation levels. Dosimeters were developed to measure an absorbed dose of ionizing radiation. To better understand how a dosimeter works, it’s important to understand the purpose of using a dosimeter, who benefits from it and why you should consider it. How does a dosimeter work? Dosimeters were originally film-based badges. The exposure to radiation would imprint on the film and the badges would be collected and sent for processing to determine the amount of exposure received. Technology has now made the process much simpler. Digital badges, such as the Instadose+ dosimeter, can detect and record exposure and the results are available almost immediately by downloading the information on a computer, smartphone or mobile device. The small badges are easily clipped on clothing and can remain with individuals, instead of having to collect and redistribute their badges. It’s a smarter decision for radiation measurement and management. Who benefits from a dosimeter? Dosimeters benefit anyone working with or around radiation. The dosimeter allows individuals to track their personal exposure and it also allows management to monitor the exposure of staff on a daily and cumulative basis. Everyone benefits from the use of a dosimeter which gives employees peace of mind knowing their employers care about how much dose they may be exposed to, and it also gives management the opportunity to reeducate or reinstruct staff if dose for certain medical or dental procedures is too high. Why should you consider a dosimeter? Radiation exposure can have varying effects, depending on the amount of dose and length of time an individual is exposed to radiation. Exposure to high amounts of radiation has been linked to illnesses such as cataracts cancer and in some cases has led to death. 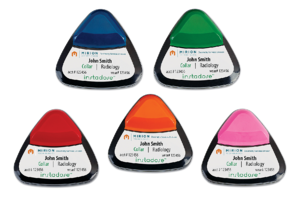 A dosimeter is designed to monitor exposure and serve as a tool to alert an individual if radiation dose readings exceed unhealthy levels of radiation exposure.